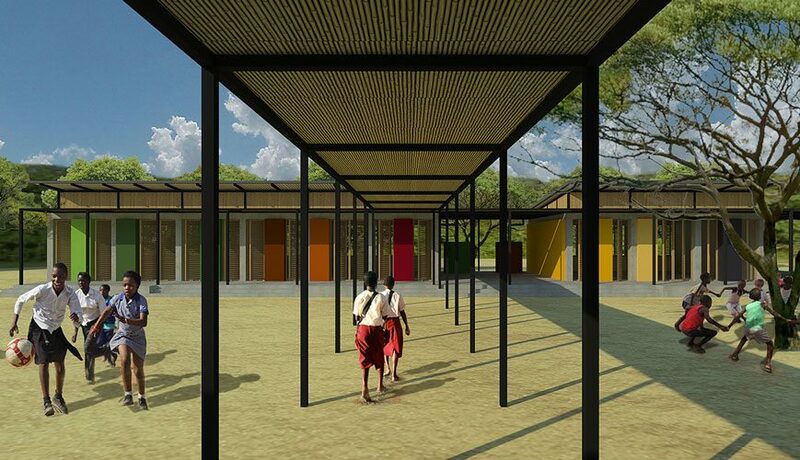 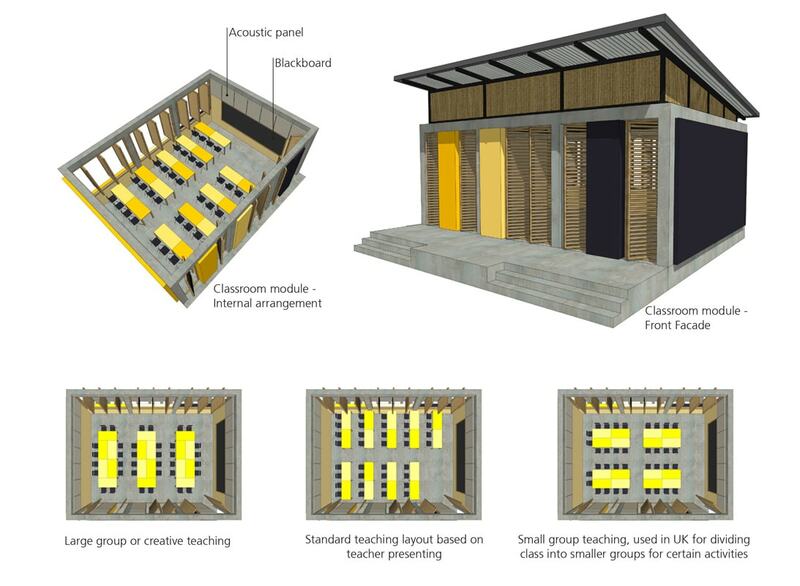 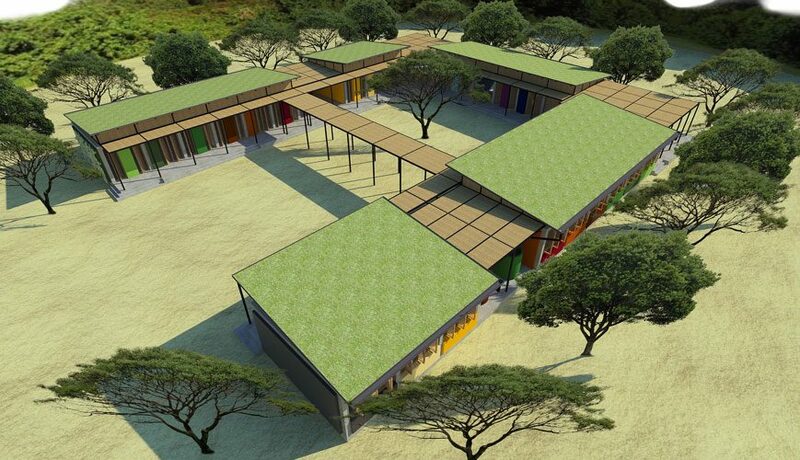 A model off grid primary school concept for Ghana Commercial Bank as part of their CSR strategy. A model ‘off grid’ primary school concept developed for Ghana Commercial Bank (GCB), as part of the bank’s corporate social responsibility (CSR) strategy, that can be rolled out to any part of the west African nation. The school project emanated from a commission that FDP received to re-position GCB with a new brand and retail experience. 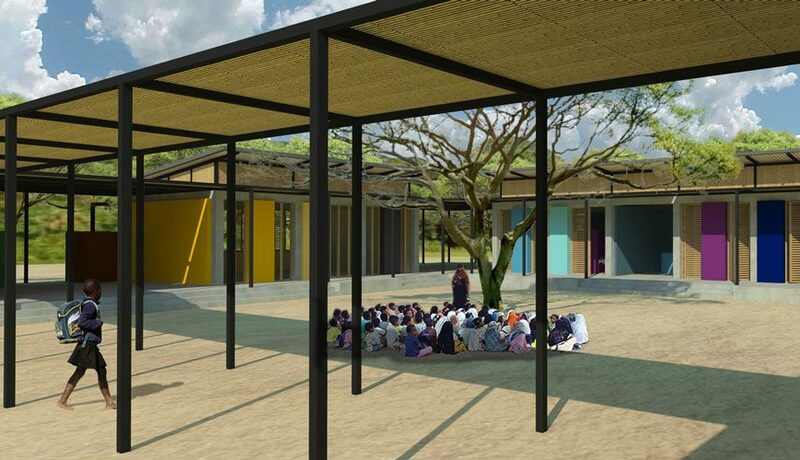 The new brand values place the bank at the heart of the Ghanaian community and the CSR initiative was a logical extension helping the bank to invest in the development of the Ghanaian economy through education. 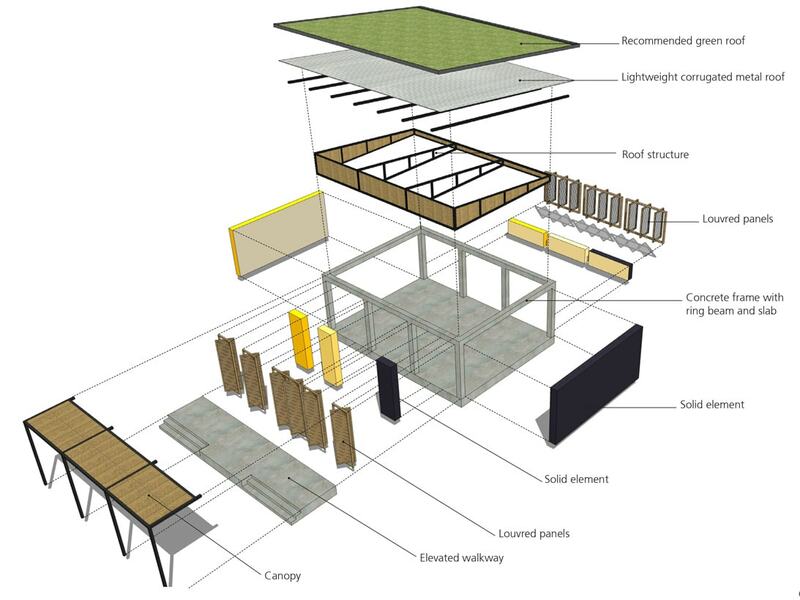 LOM architecture and design, FDP’s sister company, provided its services for free on the project with advice from key UK consultants Cundall and Elliott Wood structural and civil engineers.